As per the needs and requirements of our clients, we are involved in providingTrendy Designer Suit. 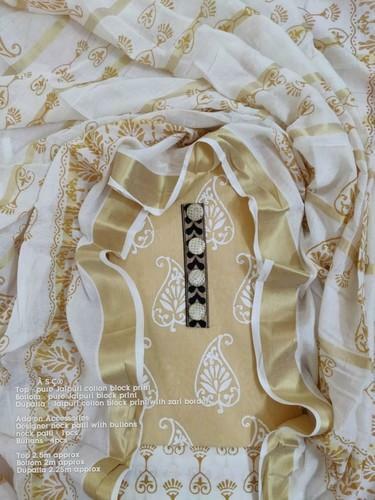 AS Enterprises was established in the year 2007 as Manufacturer and Wholesaler of Ladies Suit, Bandhani Suit, Designer Suit, etc. Our all products are check in various quality parameters before final dispatch of the products. Offer these products in bulk quantity at market leading prices. We select our vendors on basis of their knowledge and experience in competitive markets. Our vendors are known for supplying quality fabrics. We mainly focus on the quality of products. For this we have hire fully skilled and knowledgeable professionals who have years of experience in their domain. Our professionals work hard to meet the huge market demands. Our talented professionals regularly take feedback and suggestions of customers and then make changes in products accordingly.